The Communitas statuette is a symbol of peace and harmony. 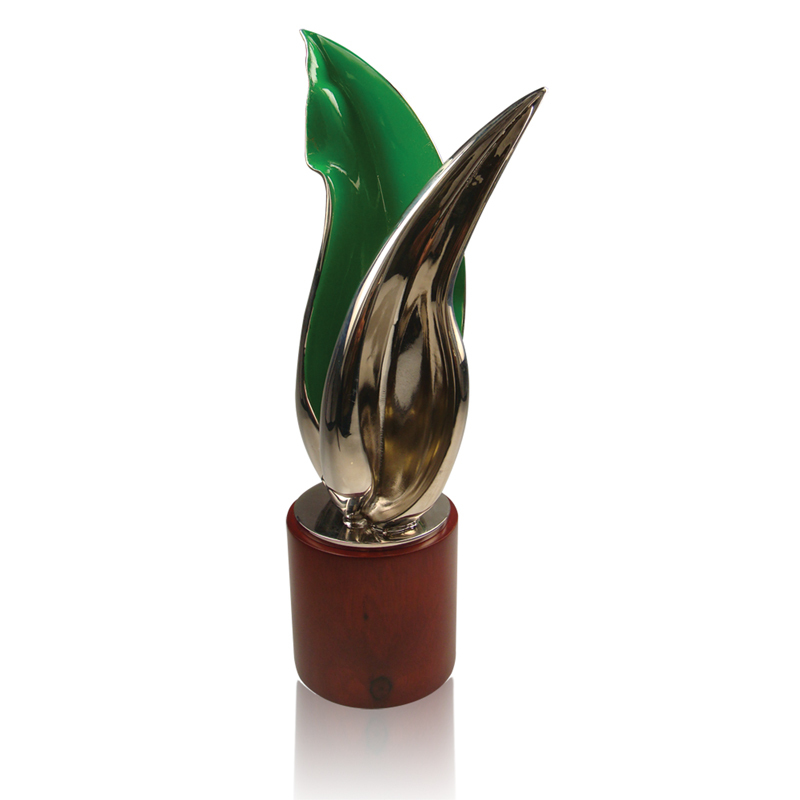 The shiny silver and green, die-cast statuette with two leaves, stands 12 inches tall and is presented in a Tiffany-style, satin-lined, presentation box. 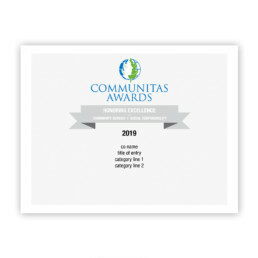 The Communitas statuette is crafted by Society Awards, the world renowned custom design and manufacturing firm that is recreating the awards industry. Over the past several years, Society Awards has redesigned many of the world’s top creative awards, including The CLIOS, Golden Globes, MTV’s VMA, Academy of Country Music and American Music Awards. Communitas Awards keeps its nomination fees at reasonable levels by not making all nominees subsidize the cost of awards for the winners. Each winner receives a certificate and is given the option to purchase an award for $235. As a result, the award is a high-quality piece of art that anyone would be proud to display in their office or home. Please provide your information for your winning entry.